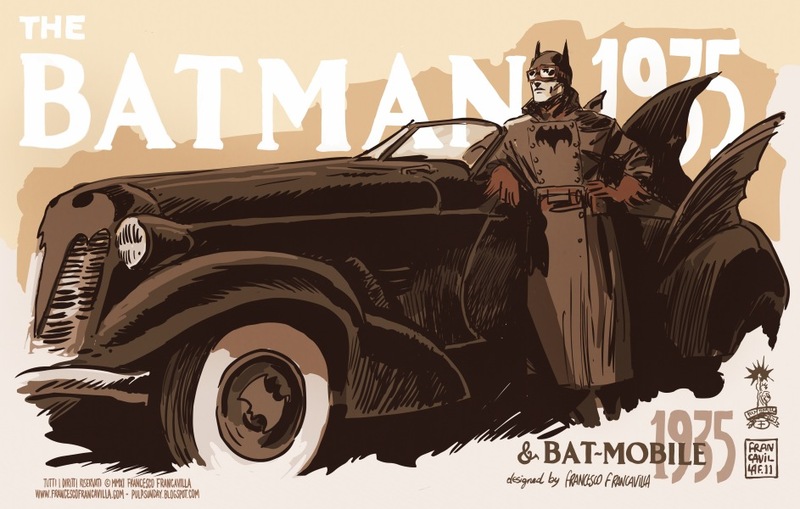 And here is another one from one of my new favorite artists, Francesco Francavilla. This one is a steampunk-esque inspired Batman from back in 1935. I love it!!! 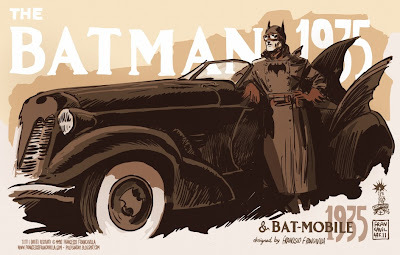 I mentioned on my site that I would love to see 19340s style Noir Batman with the FBI chasing him throught the back roads outside of Gotham City like in 'Bonnie and Clyde' Batman, FBI, Mob Boses - it would really work. Thats so funny Kal... I saw you posted this pic right around the same time I did. God knows I have grabbed some stuff from you in the past, and I know you have re-posted stuff I post... but this time we came across both right around the same time!!! True geniuses think alike my friend... and I would also love to see this. I don't know if you read "Gotham by Gaslight" or "Detective 27", but if not give em a shot. Both were unique Elseworld Batman stories. Make it happen kid... and I salute you for your excellent taste!